As promised in yesterday’s post, here is my round up of hot picks! Looking ahead to Autumn, a cashmere mix jumper is a great sale buy. 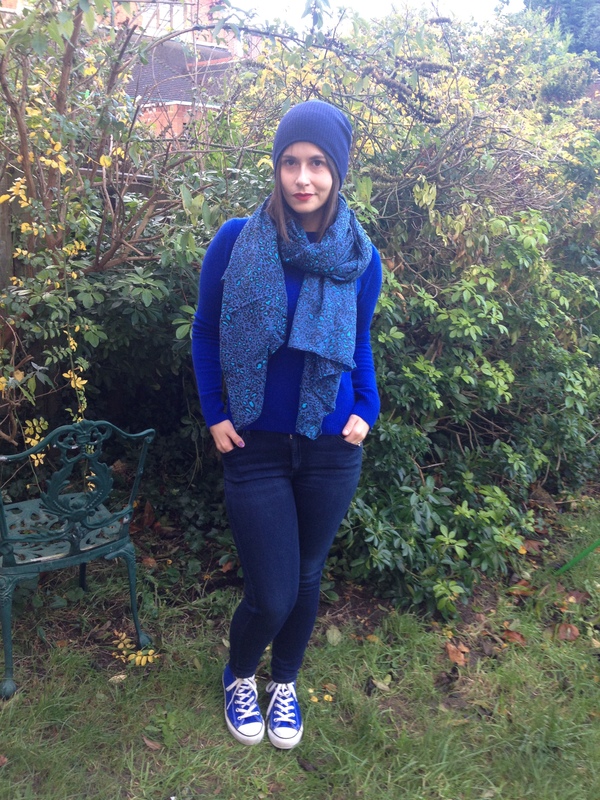 This slouchy shape is so easy to wear and will look great thrown on with skinnies and bright trainers. If, like me, you’re a fan of a quirky print, you’ll love this gorgeous rabbit print dress from Paul and Joe Sister. I actually have a playsuit in the navy version of this print and it is one of my very favourite things, so this dress is super-tempting. It’s another fab trans-seasonal piece as it will look great now with bare legs and a tan, but also really cute with opaques and biker boots when it’s cooler. This top is perfect if you have a beach holiday coming up – it just screams summer. It’s one of those pieces you can pull out year after year for that Ibiza cool vibe – just add denim shorts, flip flops and a straw fedora! I don’t really do girlie, but I’m a sucker for a lace top for an evening out. This pink version from Great Plains is just SO pretty – how can you resist? If pink doesn’t float your boat, the navy version is also in the sale. A veritable prince among boyfriends, these are the best boyfriend jeans I have ever had. Comfy and flattering, they’re well worth snapping up at a knock down price. You’ll probably want to go down a size though! You all know how I love a sweatshirt! 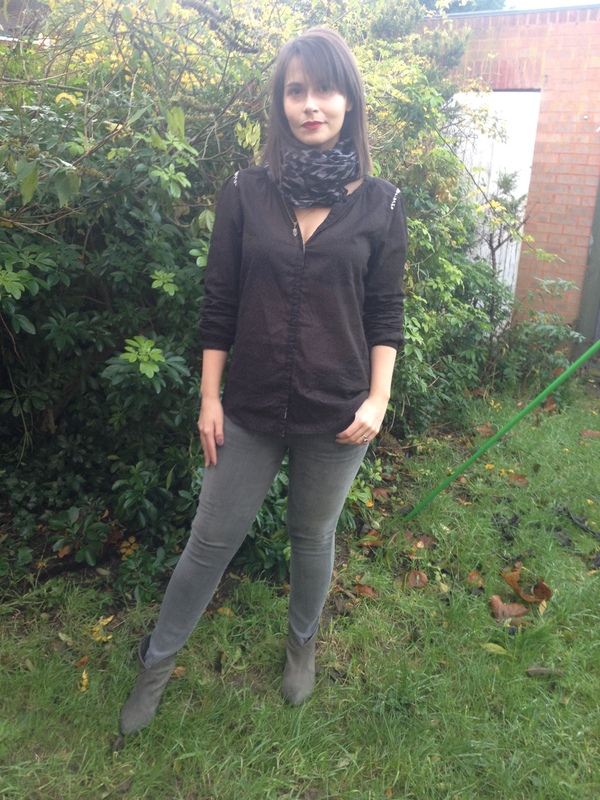 Here is another great autumn basic. The DR have this sweatshirt available in a few colours. Doesn’t it look snuggly? Another lovely little lace number here – this Rosemunde top has just fallen into my basket. I have a black long sleeved version which I love, so I’m hoping this will be a great summer equivalent! So I’ve told you what I’ve bought – how about you? Let me know what’s tickling your fancy in the usual way! Unless you’ve been living under a rock, you’ll be aware that the sales have started. I may have even succumbed to a cheeky purchase or two myself – more on that to come in a future post! Anyway, my good friends over at The Dressing Room got in touch to see if I’d like a preview of some sale goodies. That’ll do nicely, said I! 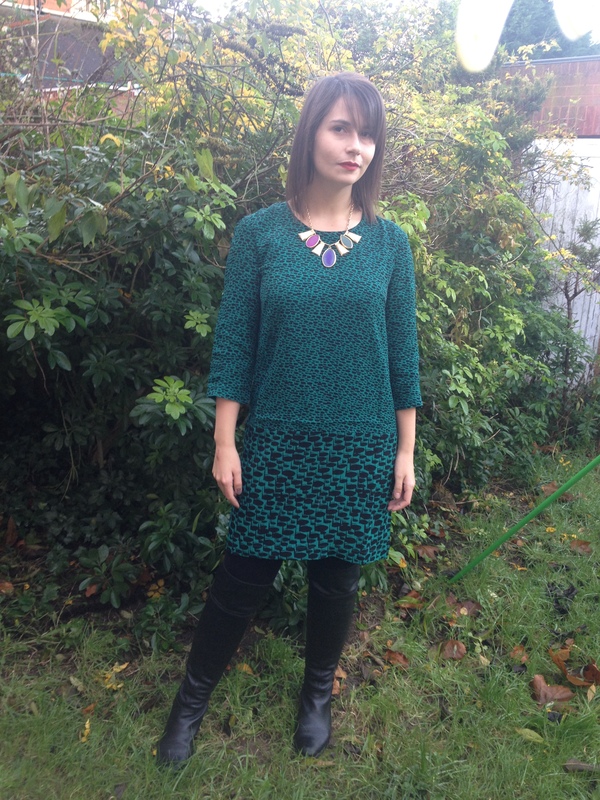 So here I am modelling some of the fab bargains you can get your hands on TOMORROW at 9.30am when the sale goes live! If you happen to be local to St Albans, the first 20 customers into the store on the Saturday will receieve an extra 10% off sale items. If not, sign up to the Dressing Room’s mailing list now and check your mailbox on Saturday morning for an exclusive 10% discount code to use online, before 1pm! 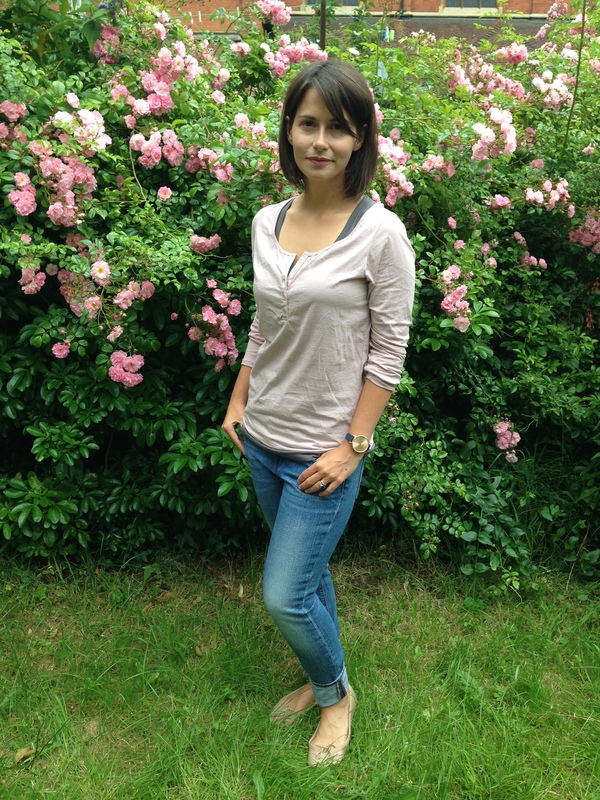 This top is a good buy as it’s actually a two in one – you get a grey vest top and the long-sleeved pink one. The blush colour is so pretty and Maison Scotch quality is excellent. 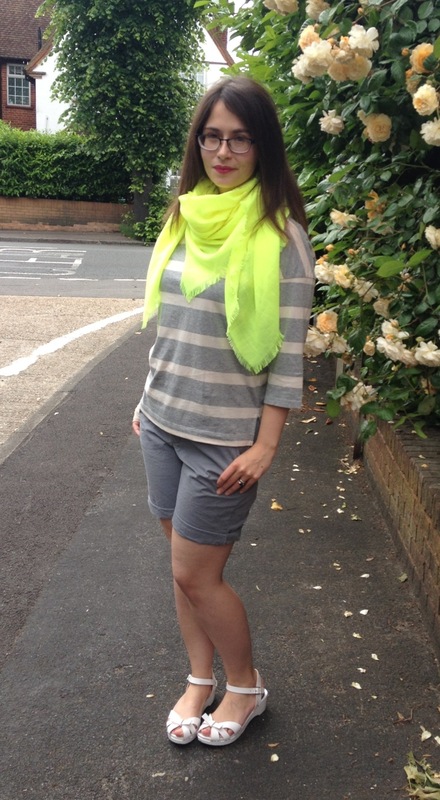 I’ve styled it as part of a casual look, something easy to wear when running around after my little monsters rascals. This slouchy vest is another multi-occasion winner. You can style it for a night out with coated skinnies and cage sandals, as I’ve done here, or wear it as a fab beach cover up over a bikini and flip-flops. 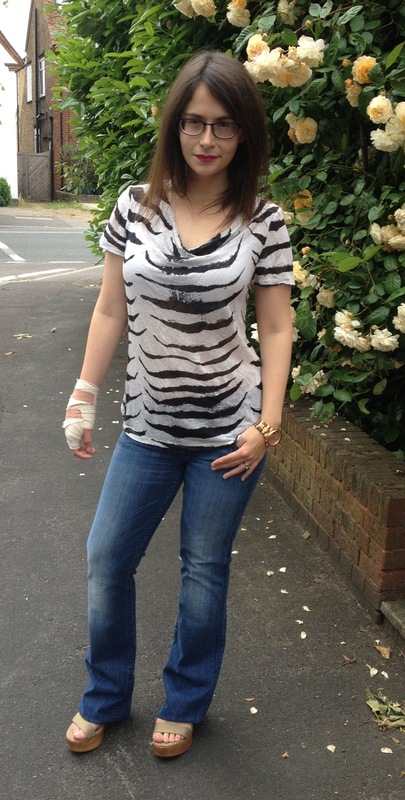 I do love stripes for the summer! I know it’s a blogger cliche, but this really is a dress you can dress up or down. The combination of stripes and beaded embellishment mean it can work for a variety of occasions. I’m wearing it with bright ballet pumps for a casual look, but by teaming it with cream strappy sandals and a complimentary clutch it could easily do a wedding or christening. This was my children’s favourite outfit. They said I looked like ‘a beautiful mermaid’. Now I don’t know about that, but this is a great easy breezy dress for a sultry day. I found that the print is so standout that it worked best with simple accessories. The final item I was sent, and the one I decided to keep, was this lovely leopard print scarf. I’m having a real love affair with orange at the moment – so bright and zingy for summer. Not to mention it works a treat with my new favourite lippy! So, make sure you’re up early to check out the great buys on offer tomorrow morning – it’s one not to miss! And while you’re online click back onto my blog where I’ll be rounding up my favourite picks from the DR sale! Disclaimer: all opinions my own, though The Dressing Room did kindly allow me to keep the item of my choice. 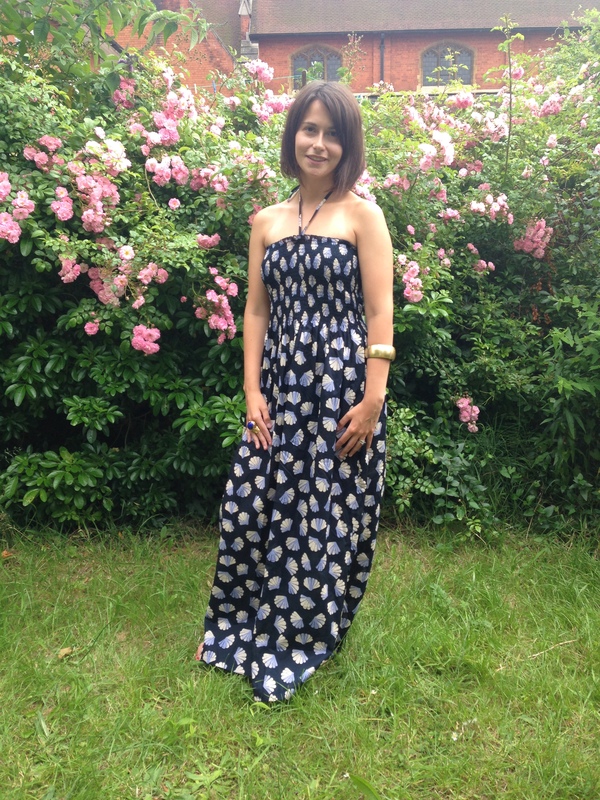 First up, here I am wearing the Great Plains Music Melody dress. This shift is so easy to wear – the slightly darker print on the bottom half of the dress is great for slimming hips, and the rich green is perfect for the season. 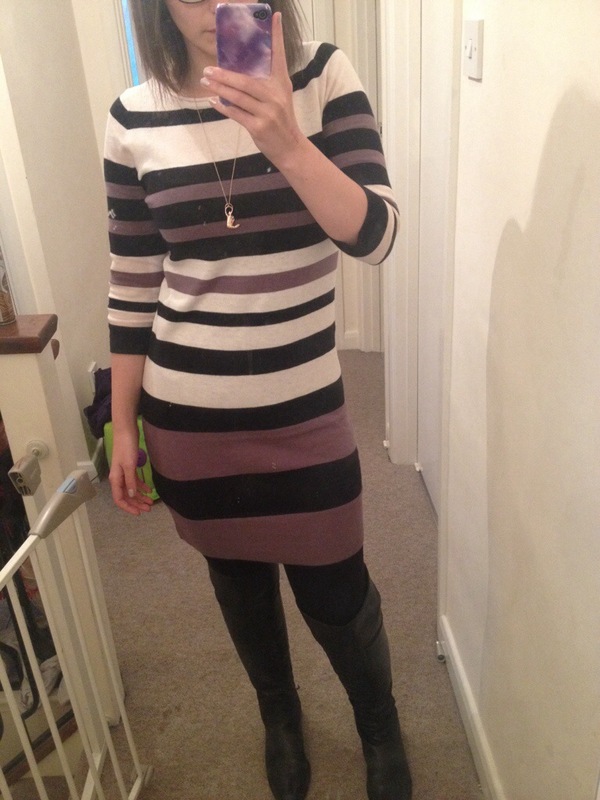 I have added a bold necklace and black over the knee boots for a look that could take you from the office to a bar. 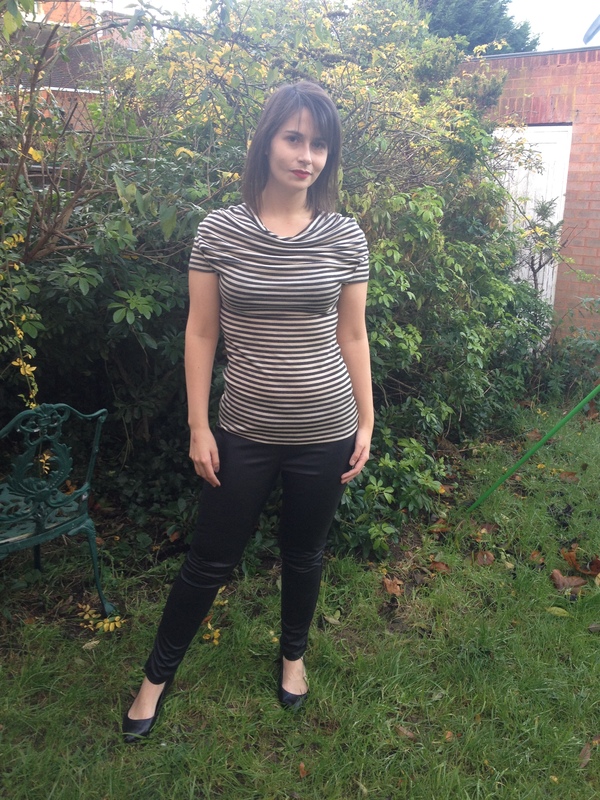 I’ve said it before, I’ll say it again – you can’t go wrong with a stripey top. Farhi do this style every season and I think the shape really elevates a simple stripe to something special. This top would be great for a sophisticated evening outfit, and I have paired it with leather (look) leggings and black pointy kitten heels to keep the look simple and streamlined. 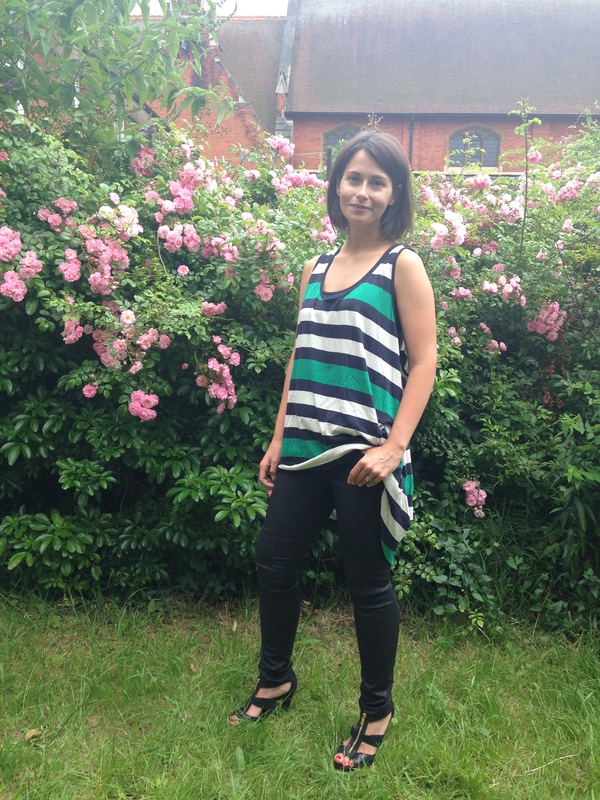 I was very kindly allowed to keep one of the items I reviewed here and I chose this Maison Scotch tunic. It’s not easy to see from the photo, but is has a very delicate speckled pattern and some contrasting trim at the shoulder which gives it a glam-bohemian effect. To be honest, it looks a lot like something Isabel Marant might design. Easy to dress up or dress down, I can see it will be a really versatile addition to my wardrobe. In fact I wore the outfit to a birthday party yesterday afternoon! 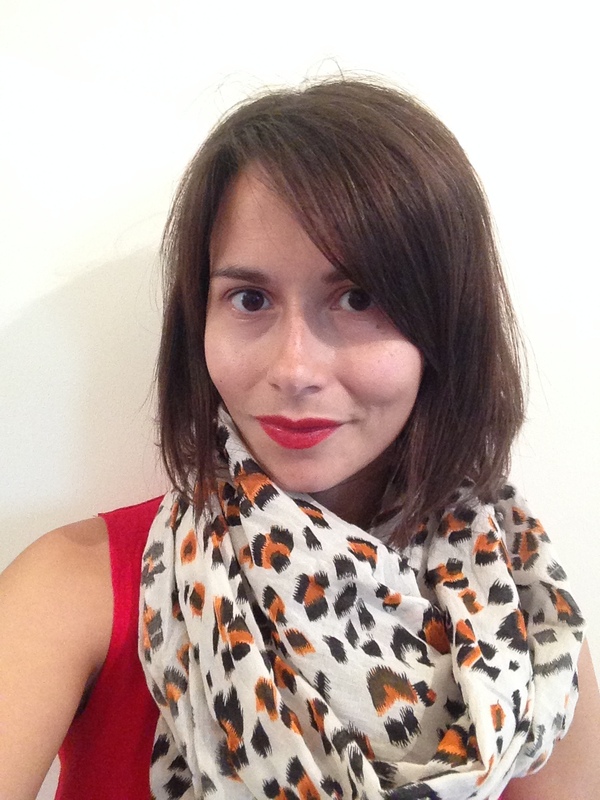 The final item I trialled was this gorgeous Becksondergaard scarf. I have acquired several of their scarves since I started working with The Dressing Room and I can really vouch for their quality. This beautiful blue leopard print version fits in so well with my existing wardrobe, I think I’ll be snapping it up in the sale myself! I’ve opted for a casual look here, ideal for running around after the kids. Now, I happen to know that there will be a special Christmas surprise in store for all mailing list subscribers, so I strongly suggest you sign up to their newsletter and keep an eye on your inbox over the festive season. Go on, log on and bag some bargains – it sure beats battling the rain on Oxford Street and winding up with pneumonia like I did last year! And make sure you report back on any purchases, of course! Over the years Mumsnet has been a great help to me – I’ve been given great advice when struggling with breastfeeding, made some fabulous friends and found the inspiration to start this blog. This week they did it again by pointing me towards some super bargains on the Great Plains site. Total outfit cost (admittedly not including boots)? £6. The dress, still available in the red in size XS (which is what I, an 8-10 (probably more 10 latterly) am wearing) here. The leggings were a ridiculous £2 and are not even slightly see through. You could even splash out £4 for the grey-blue. Even at Christmas time you can afford to treat yourself at these prices! Sale time at The Dressing Room! So, if you’ve been following my blog/have eyes you’ll have noticed that the summer sales are on. Yay, right? And tomorrow The Dressing Room, one of my very favourite stores, start theirs. Double yay. Being lovely friends of Twentymumthing, they gave me a sneaky preview and sent over a few sale items for me to have a play with. And play I did. As it is, supposedly, the summer, I thought I’d style up a few summery looks using the bits I received. It wasn’t hard, they’re lovely. First up is this bold Great Plains tunic. This little number is a great mutli tasker on holiday; you could pull it on over a bikini for poolside lounging, wear with flip flops and a sunhat for sightseeing, or, as I’ve done here, style it with heels for high-octane glamour. 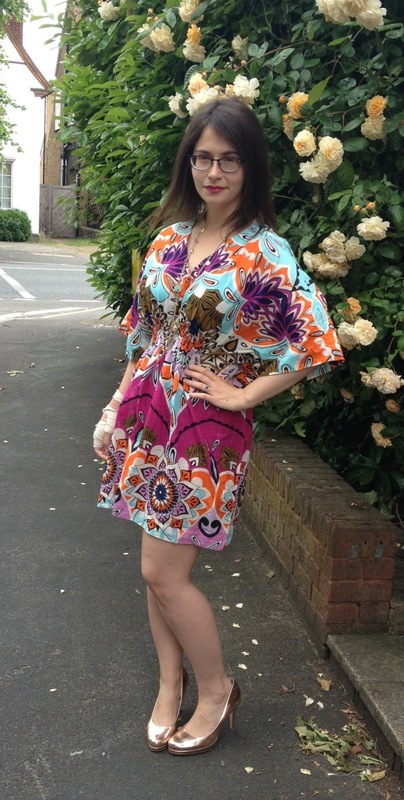 I love the 70s shape of it, and the bold print will show off a tan a treat! This Hale Bob blouse is just so pretty. The very subtle zebra print, beautiful colours and detailed embellishment make it the perfect top for a Riviera jaunt. I have paired it with white jeans and jewelled sandals for the full St Tropez effect, but actually I think it would work just as well dressed down with denim cut offs! I love the fact that it comes with a matching cami, saves angsting about visible bra issues! However, for all my mithering about holidays, a lot of us will be staycationing this year (myself included if I don’t get on and book something) and this Day Birger Et Mikkelsen top is ideal for the British climate. The summer barbecue can become a style quagmire for even the most accomplished fashionista. You’ve got to factor in potentially inclement weather, the need for comfort post burger-binge and the distinct possibility you might fall over after one-too-many glasses of rose. It’s a minefield, I’m telling you. But I think I might just have solved it with my final look, based around these uber-flattering Hudson jeans. There be gold in them there jeans… Leg-lengthening, bum-hoisting, hip-narrowing, they do it all, my only gripe is that they are, as usual, about a foot too long for me, but that is premium denim as standard, and nothing my dry cleaner and her sewing machine can’t fix. Back to the BBQ; a chunky wooden sandal or wedge heel eliminates the risk of sinking into the lawn, while a luxe, yet loose, linen tee leaves room to pack in those questionable sausages. A chunky watch finishes the look. You’ll be a beacon of chic in a sea of maxi dresses and cropped cardigans. **Figuratively, not literally, though I wouldn’t mind that either.